As we said in previous articles, Google announced some months ago that it would no longer update PageRank. The metrics to see the value of a domain that we have been using for years cannot be the same anymore. But what other variables can we look at, and where, to check the authority of a domain? In this article we want to explain other options you can resort to know if we should exchange a link or not, buy a post or ask for a mention in some domain. For this, we will talk about 4 metrics we have to take into account when rating the quality of sites. Moz’s domain authority is the metric calculated by this tool by which a domain acquires value depending on factors such as the number of links that redirect to it, the type of domains that redirect, its mozRank and mozTrust-internal metrics of the tool-and many other factors that provide a quite reliable measurement. The domain authority of Moz is calculated from 0 to 100. Moz’s page authority affects, as the name suggests, only the concerned webpage, i.e. a specific URL. Like with the domain authority, the page authority is calculated depending on multiple variables and indexes such as the number of links that direct to that page, the mozTrust, the mozRank and many other factors. The page authority is also calculated from 0 to 100. The best thing to do is use the Page Authority (PA) and Domain Authority (DA) as comparative metrics when doing research about the search results and determine what sites or pages can be better for our links. We can consider that a domain has a decent authority when we have 20 links or more. The same goes for the page authority. 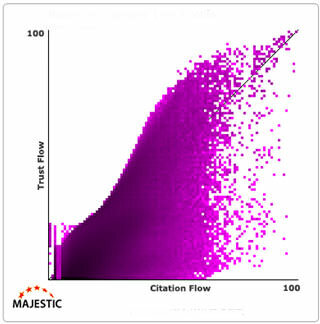 Citation flow by Majestic is a metric designed to predict the influence that a site could have taking into account the links that redirect to it. For this metric the quality is not important, but the quantity of links. 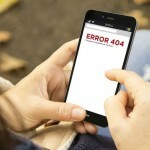 If there are more domains redirecting to the entry of a blog or to a specific page, the better the metric is. The range to see the citation flow of a site is measured from 0 to 100. Trust Flow by Majestic is a metric designed to choose the level of trust that there is on a website. In this case it does take into account the quality of the links redirecting to the site. The more relevant pages are linked to the site, the better the metrics. A site can have tons of backlinks, but not all of them will be of high quality nor trustworthy enough to be relevant. What is also true is that no matter how hard we try to be linked only by quality domains, having low quality domains is almost impossible to avoid. Therefore, it is hard that the Trust Flow overtakes the Citation Flow. Just as happens with the Moz metrics, the authority level displayed on Majestic can be considered acceptable from 20. 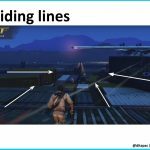 Where can we look up these metrics? The four metrics we have just talked about are available in the extensions from Moz and Majestic for both Google Chrome and Firefox.